Number 5 Type Collection: Friday's Giveaway Winner! 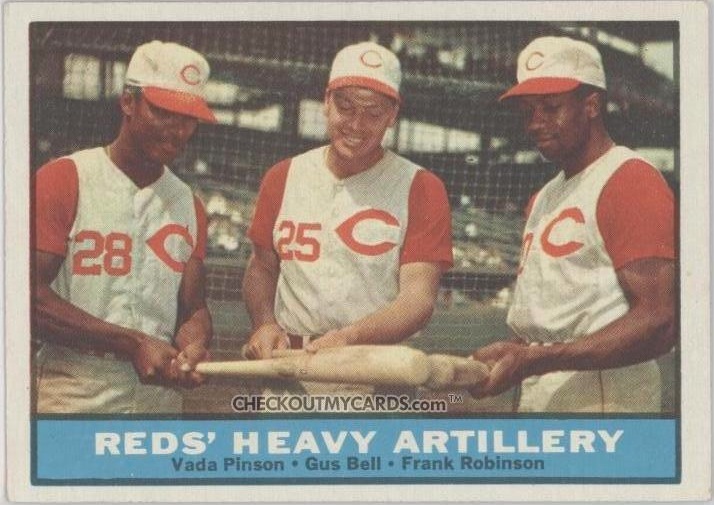 Thanks to everyone who nominated a "best core lineup" for Friday's giveaway of this three-man 1961 Topps #25! Read all 19 comments for the full list, covering teams from the defunct Federal League up to modern Astros and Phillies. I'm partial to Night Owl and Spiegel's nomination of the 1950s Brooklyn Dodgers trio of Snider, Campanella, and Hodges, both for their golden age success and (*cough*) to make my Brooklyn-loving dad happy. I fed all entrants into Random.org and it selected Greg Zakwin as the winner of this card and some moderns of his chosen team. (It looks like that'll also be the Dodgers.) Congrats to Greg and look for more giveaways soon!